e-Lab Quick, LLC, DBA Quick Health Labs, has proudly served the area since 2004. 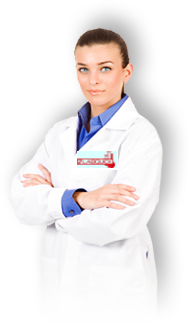 Quick Health Labs has that experience and professionalism to make your drugfree workplace a success. Contact Matt West for help implementing your company's drug and alcohol testing program. Always on the cutting edge, e-Lab Quick, offers drug testing panels ranging from the three most commonly abused drugs to panels that include all testable drugs of abuse, including the latest drug trends such as “bath salts” and synthetic marijuana. Our labs are the industry’s best, each certified or accredited by our industry’s most prestigious regulatory bodies. Alternate Specimen Types for Non-Regulated Testing: Though urine testing remains the industry standard for drug testing because of its accuracy, reliability, ease of collection and relatively low cost, other options are available at e-Lab Quick. Hair Testing: Tough significantly more expensive than urine testing, hair testing allows one to test for drug use for a much longer period of time. As a general rule, for each inch an a half of hair, one can test for the previous 7 through 90 days. We recommend an additional urine test to cover the preceding seven days. Instant/Rapid Urine Testing: Most of our testing panels are available with instant screening results. However, in many states, the law requires that all inconclusive/non-negative employment drug tests must be confirmed at a laboratory before an employer can use the results to make employment decisions. Oral Fluid (Saliva): e-Lab Quick primarily endorses the use of urine for drug testing. However, in certain circumstances oral fluid testing may be acceptable. For more information, please call 1-888-671-1102. Currently 79% of companies test at least for pre-employment and reasonable suspicion, and more and more companies are signing on, realizing that testing saves them money and helps maintain a safer workplace. Random testing is also trending as more and more companies realize that a healthy workforce is a “clean” workforce. Desperate employees often go to great lengths to subvert a drug test, including purchasing synthetic urine products. Though companies who produce these products guarantee a negative test result, in our system, the products are guaranteed to fail. Our specimen collectors, some of the best in the nation, are extensively trained to recognize synthetic urine. Also, our labs are capable of testing specimens to determine if they are legitimate or synthetic. .
We make it our mission to stay abreast of current drug trends and offer testing as soon as it becomes available. Currently, synthetic marijuana and synthetic amphetamines are trending dramatically, and we offer testing for all related compounds. Also trending is abuse of prescription opiates such as hydrocode, oxycodone and methadone. e-Lab Quick official recommendation to all employers is to test for all synthetic and semi-synthetic opiates as part of their opiates testing panel.